As you plan for your next trip, these tips for travelers with disabilities will help you enjoy a more comfortable and enjoyable getaway. This rule applies to all travelers these days: pack light. Decide what you need on a daily basis, but on a smaller scale. 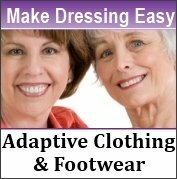 Plan what you will wear each day and select your clothing and related items accordingly. 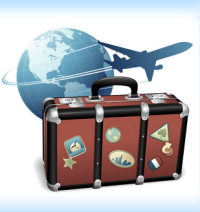 All airlines have maximum weight requirements on luggage, whether you are traveling both domestically or internationally. There are rules regarding the size and number of carry-on luggage as well. Call the airline or visit the website for details. If you require a wheelchair, use the narrowest chair possible to make navigating aisles and walkways as easy as possible. Be sure to bring your wheelchair backpack on board the aircraft – and keep it with you at all times. Even if you are in good health, traveling can be tiring. Taking along an able-bodied friend or attendant will make your trip smoother, especially if you plan to use rental cars and hand controls aren't available. If your disability requires much personal care, do not travel with anyone who is not familiar with your needs. Any business serving the public (i.e. restaurants, hotels, stores, taxicabs, theaters and sports facilities) is prohibited from discriminating against individuals with disabilities. The ADA requires businesses to allow people with disabilities to bring service animals onto the premises in whatever areas customers are generally allowed (an individual with a service animal may not be segregated from other customers). This applies to airports, airport food service outlets and on airplanes as well. A service animal is "any guide dog, signal dog, or other animal individually trained to provide assistance to an individual with a disability." If they meet this definition, animals are service animals under the ADA, regardless of whether they have been licensed or certified by a state or local government (the ADA supersedes any county health department, state or local law). A service animal is not a pet and the ADA requires that all businesses modify their "no pets" policy accordingly. With proper planning, traveling with oxygen can be comfortable and safe. Make arrangements in advance and confirm details prior to your trip. U.S. airlines require a doctor's letter detailing your oxygen needs in order to fly. You cannot bring your own oxygen on board and must use airline-supplied oxygen. Here, requirements vary among the carriers but all require that arrangements be made in advance and all charge for in-flight oxygen, either by number of flights (if you are changing planes) or by the amount of oxygen used. Although some airport first-aid stations have oxygen available, airlines don't provide oxygen for in-terminal use; arrangements must be made separately. For oxygen at your destination, contact your local oxygen dealer. National chains can contact their other offices, and many local dealers belong to a network of oxygen providers, so most can help with arrangements. For more information on portable oxygen and tips for travelers with disabilities, contact the American Lung Association at 1-800-586-4872. Asking friends with disabilities for referrals is always a good idea, as a word of mouth recommendation is an important source in deciding if a specific hotel will meet your needs. The Internet is also a key resource to research more tips for travelers with disabilities and find hotel accessibility information. 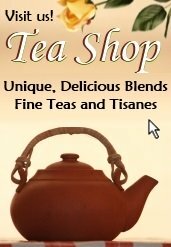 Visit the hotel brand‘s website and see if there is an ADA section. This will give you an idea of the type and size of accommodations. Some ADA sections are very detailed and list the special services they provide, along with online tours of various ADA guest rooms. Others may even mention Mystery Shopper hotel inspections with reviews by travelers with disabilities. Do they have a roll-in shower? An open bed frame? A refrigerator in the room to store medicine? If you do not find answers to your questions online, call the hotel directly and speak with a knowledgeable employee. It is far better to do your research up front than to get there and be surprised and/or disappointed. 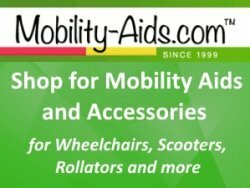 You can also find additional tips for travelers with disabilities by by visiting SATH’s (Society for Accessible Travel & Hospitality) website at www.sath.org. These tips for travelers with disabilities were provided by Bob Generale of Microtel Inn & Suites and Hawthorn Suites.